Hi, this is my first question in this forum. I am convinced that I should be investing in an index fund. But one thing is bothering me is that market has been going up since 2009 and I feel the market correction is bound to happen. So is it not a good idea to say have 30% of the monthly investment invested in a money market fund, so that when the market correction happens I have a good amount of cash to buy at a bargain? I have read that good investor like Warren Buffet also have more than 100B cash sitting just to take advantage of the market correction. Once I am convinced that this idea is good, I will also move 30% of my 401k(Investing from 2013) investment in a money market. I would not do that. If you have an allocation to bond funds, you can sell the bond funds and buy stock funds when the correction occurs. In the meantime, your bond funds will be bringing in a little bit. If you put money into money market, it will be losing value until needed. "Until needed" could be years away. Or tomorrow. We don't know. No sense in letting that money sit on the sidelines doing nothing. That's what everyone was saying in 2014 as well. I have friends who took half there portfolios and put them into cash. They're still waiting to get back in and missed the last four year rally. Why pick 2009 as your starting point too? The market has been going up since 1909, isn't it bound for a correction? All of that said, the boglehead wiki has some great resources to get you started and take a look at Bill Bernstein's The Four Pillars of Investing. After that, consider reading Robert Shiller's Irrational Exuberance. If your young, find an asset allocation that works for you and just start investing. Instead of putting your money in a money market to wait for a correction, how about putting your money in a bond fund instead? You know many bond funds went up more than 1% in the past couple of weeks which blows away the return of the money market fund in that time period. So you could have an asset allocation of 70% equities and 30% bonds while waiting for a correction. And if a correction in equities happens, then you can rebalance from your bond funds into your equity funds at that time. Is it a good idea? No. Do you actually know what a market correction is? Would you be able to spot one? When was the most recent market correction, according to your definition? It's a terrific idea. But here's the tricky part: unless you know when the correction will occur, you'll have money set aside basically earning nothing until then. Folks have been talking about an impending correction for many years now - being on the sidelines for those years would have been costly. And of course how long will you wait for the market to go down before deciding that it's time to buy? One day? One Month? One year? And why 30%? If this is a really good plan, wouldn't you be better off having 100% of your money ready to strike? Market timing is hard. Most folks aren't successful with it. Most likely you won't be successful either. IMHO, better to be in the market for a long time than to attempt to time the market. Where did you read that? Since Buffet's net worth is about $80B, it's hard to imagine him having $100B in cash somewhere. Are you Warren Buffet? Are you hiding your net worth? Last edited by JoeRetire on Sun Jun 03, 2018 4:59 pm, edited 3 times in total. 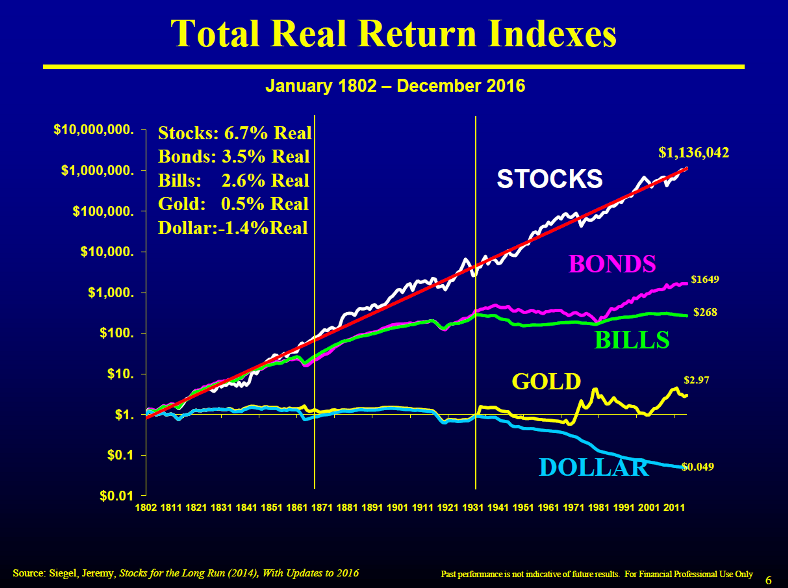 If you feel that your portfolio is taking too much risk, adjust by increasing your allocation toward bonds, away from stocks. But no, I would not suggest selling money and putting it on the sidelines just because you "feel" something is coming. I concur wholeheartedly with retiredjg. Yes, there is bound to be a correction sooner or later. This is how the market works. Corrections and bear markets are 100% normal. But you should not try to guess when they will happen. Nobody can. If you leave cash on the sidelines, you will likely miss out on returns it could have been bringing in. (1) Decide how you want to proportion your portfolio between stock funds and bond funds. This is step one. Take as much time as you need answering this question; it's the most important decision you will make. If you need to, refer back to the discussion of asset allocation in the Bogleheads Guide to Investing. (2) Set yourself up in low-cost index funds meeting that decided allocation, including bond funds. (3) Set up automatic investing into your chosen funds, in your determined percentages. (4) Go live life for 1 year. (5) Look at your portfolio again. If it has drifted, say, 5% or more away from your desired percentages, sell enough of the gainers and buy enough of the losers to bring it back to your target percentages. (6) Go to step (4). So doing this, you'll at least bring in some returns from bond funds, and your bond funds will act as your "dry powder" for rebalancing. Do not ever, ever, ever try to time the market. You can't do it. By the way, the market has generally been going up since its creation, not just since 2009. And it has recovered and climbed higher after each and every downturn in history. That's no guarantee, of course, that it'll do it after the next one. But it's a pretty good trend. A) Do you have an emergency fund in the first place? If not, you should have one. B) Are you 100% invested in stock without any bond fund? If yes, why are you doing this asset allocation? 100/0? Why is this right AA for you? You should start with the basic. By asking this question, you are suggesting that you are nervous about your investments. Develop an Investment Policy Statement which clearly lays out your asset allocation. You may need to have a rather conservative allocation until you become used to the markets' inherent gyrations. Make a plan and stick to the plan. This will help you avoid pulling the plug when things go badly for a while. I am pretty much convinced that my idea of putting cash aside in MM is a bad idea. Your feeling is right. The market will crash, and it will crash big. The problem is it can go up 200% more then it crashes 80% from that point which will still make it higher than today. Or it can crash tomorrow by 90% from Friday prices. Or anything in between! No one knows nothing. Yup. Not quite the same thing. I have $1.5M loaded and ready to go. Currently selling portions of what I currently have invested into euphoria and based on conditions, re-investing into stronger sectors with each leg down. Way ahead of market returns YTD. The "market" has been going up since 1802. Sorry, but why? I believe something north of 95% of Buffett's portfolio is in B-H holdings. So, as for himself he is content to wait for the 'fat pitch'. It's another matter, as is well known, that he has recommended to his surviving spouse to invest 90% or more in an S&P 500 index fund among other things. Market timing ain’t worth it. 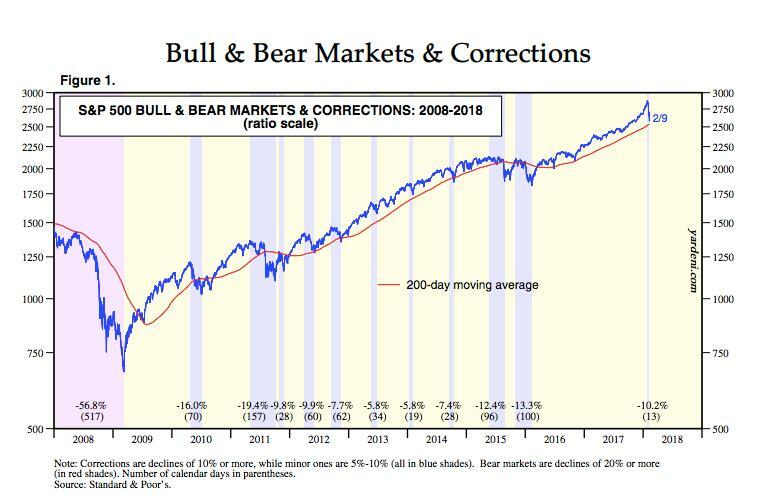 The market has not been going up since 2008 as there have been a number of corrections since then. Only if you believe the market will at some point be lower than it is today. I do, so I do have funds on the sidelines. If it doesn't ultimately look like it's going to happen, I use the funds to pay down debts, invest in my own business, and spend a bit on the family and on what I enjoy in life. OP, read this and follow up here with any questions or concerns you have about the recommended behavior or its rationale. Do you mind telling us when the correction is coming and how big it is going to be? Do you set aside funds for car/home repairs, medical expenses, etc. Do you know when they will happen or how much they will cost? Just because you don't know when doesn't mean it's smart to be totally unprepared. Anyway, January saw a 10% correction that was easy to anticipate so I sold an under-performing sector fund as the euphoria fatigued and after the correction stabilized I purchased more of my best performing fund. It appears that we are starting another leg up but it's not unusual for another correction to occur in the fall so when it rears it's head will again act accordingly to sell under-performers into the euphoria and pick up strong sectors on the back end of the correction once it stabilizes (whatever magnitude it turns out to be). The larger the magnitude, the more I am comfortable deploying. How about this: put up a post next time you easily foresee an upcoming dip in the market. Tell us exactly when to sell, and then when to buy again. If it's so easy, you should come out ahead of the market, no problem. Sorry, I am not a market timer. However, my question was not rhetorical. If you *think* you know that the correction is coming in 5 years (vs say 5 months), your strategy would be very different. If you *think* you know that the correction is 10% v 30%, your strategy would be very different. And if you don't think whether it is going to be 5 years or 5 months, or 10% vs 30%, then perhaps you don't know what you are doing. Also, car / home repairs and medical expenses are very different (from anticipating market correction). - for medical expenses, I have insurance with $3K maximum out of pocket. That's essentially zero. Sure, I have an HSA and an FSA, but those are tax avoidance strategies. 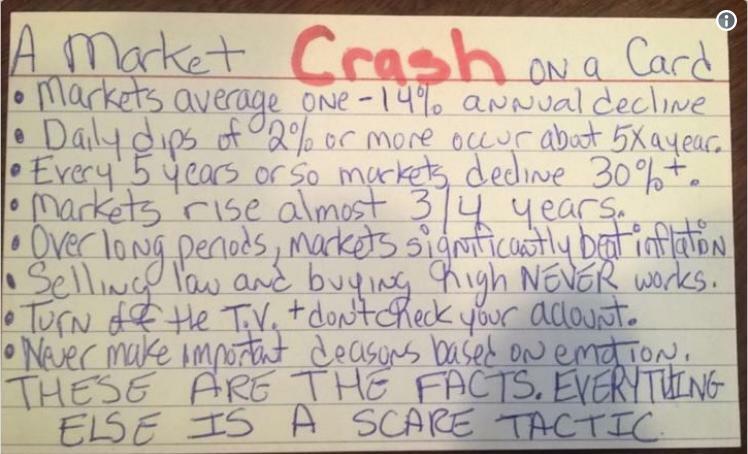 I love the quote I read here that goes something like "Market Analysts have predicted the last 987 of the last 4 market corrections"
You'' miss the ride up if you wait. Nobody on earth can time the market consistently, just throw it in now. Just regularly rebalance to specified AA and buy weekly. Market timing is a fools errand. It is a crap shoot. Pick your asset allocation. And stick to it. You seem to be young. Likely you have many market cycles to endure. Just went and looked up and looked up what i did. On February 8, 2018 I purchased 64K of DXQLX. Look up the chart, and you will know why I chose that date. Since then, it is up about 25% from there (under 4 months). I know I know you're thinking lucky like everyone else, but I actually do this regularly. I didn't lose anything in 2008-2009. Warren Buffet also sells into euphoria and buys into fear. Many here say there is no evidence it works. Nothing more than buying low and selling high. The people who accomplish it become their own evidence. Anyway, I will try to let you know my next move...so long as you don't call it...luck again. Happened when I posted when I posted my 10 fund portfolio that was up 32% ytd in February (when I posted) even after the correction. Knowing to go with technology, healthcare, semiconductors, biotechnology, Nasdaq 2x leveraged, China and NOT oil, financials, retail is not luck, it's research and at least for me, it's quite easy to find the best fund managers in these sectors online. It's just foreign to those who are afraid they'll get it wrong...but when done right it's a beautiful thing. Admittedly, what I do is not for everyone - it needs the motivation, ambition, self-control and time that only some are willing to do. The great thing is, with the out-sized returns on what I do have in the market, the money put aside for the corrections is currently at 0 risk and my overall market investment returns are still better than fine. Some of the funds on the side went into prepaying some of my debts as, after the euphoria that led into January, I felt these past months were going nowhere for the market (DOW still hasn't returned to it's peak), so I accelerated my NW by paying down debt on appreciating real estate. Just because money in not in the stock market, doesn't mean it's not at work elsewhere. Actually investment into my own business produces far better than market returns and expanding services almost permanently raises my take home. One thing I found lacking on Bogleheads is everyone talks the stock market when they talk investing. Investment returns can come from many places and this is a critical part of diversification strategy if "the big one" hits the market. Who says investment in the market is worth more than investing time with the family, or investment in higher education, or in one's own business, or in appreciating real estate with monthly cash flow, or even in the good daily deeds that invest in one's soul? Not to go too much on a tangent but some invest almost all their cash reserves in the stock market, I just choose to keep money aside not just for the corrections, but for other investments that yield just as much reward while allowing for further diversification. Anyway, I will try to let you know my next move...so long as you don't call it...luck again. Happened when I posted when I posted my 10 fund portfolio that was up 32% ytd in February (when I posted) even after the correction. I encourage you to open a thread (call it "md&pharmacist's picks" or something) and make your moves public knowledge. All suggestions to sell and buy should be made at the moment - no "sell/buy yesterday" or anything like that. Unfortunately, getting it right once or twice won't impress anyone, so you'd have to stick at it if you want to be convincing. You lost me here. I don't "think" or predict anything. I act on the information available to me at the time it is available to me in conjunction with historical norms. When they tell you that overnight the banks are going to quit lending to anybody and each other overnight, I suggest you run from the market just as you would if Russia (God forbid) were to launch a nuclear attack on US cities. It's not a prediction, it's the information on hand. Tomorrow, I will review the information on hand to make certain I don't need to act, or let it guide me on how to act. Same for Tuesday, Wednesday, Thursday...the next X years in the market so I can avoid the "big ones" or at least minimize dollar casualties. I hope you don't commute via automobile or your car never has a problem. But has been gone up nearly 4.5 x since 2009 March in total return terms. But no need to go to great lengths to convince or impress. People see what they believe, not believe what they see. Anyway, once or twice (or just market investments) did not get me to a NW of $10M at 45, LOL! My successful investments are multi-pronged. I see why other's keep this a secret. If Warren Buffet told everyone exactly when and how he times his investments, they could just do it on their own and avoid expensive Berkshire shares! Even if he did, people want to be spoon fed in real time. Not going to happen. Only you can take care of you. Everyone's advice is based on their own desired destiny, you have to find your own with independence of thought. You cannot compare corporate financial strategy to personal financial strategy. They don't have the same goals, nor the same means. I was convinced two years ago (when I wasn’t a boglehead) that a stock market correction can happen in next one year and allocated my new money to money market. Needless to say how stupid I feel about that idea now. My moral of the story was stop timing the market and stay the course. I accelerated my NW by paying down debt on appreciating real estate. I don't think I understand the term "accelerated" here. Paying down debt doesn't change your net worth, right? So what accelerated? Who says investment in the market is worth more than investing time with the family, or investment in higher education, or in one's own business, or in appreciating real estate with monthly cash flow, or even in the good daily deeds that invest in one's soul? As far as I can tell nobody ever said you should invest money in the market, but never spend time with your family and never get an education or try to improve your business. And I can't recall a thread indicating that you shouldn't do good deeds. Can you point out such a thread? It's fun how you use the term "investing" loosely trying to make a point. But I think your strawman argument misses the mark here. I was going to suggest the same thing. The only way we can see if your method is superior to buy and hold is if you track it, with accuracy. If it can be compared to a benchmark 70/30 buy and hold fully invested portfolio it would be quite interesting. For the purposes of this exercise we would have to leave out the alternative investments like real estate. Stat check: It only took until your 6th post in this thread to whip that out. For someone that "sells under performers into euphoria," doesn't know how to calculate an internal rate of return, and is a little fuzzy on what net worth means and how to calculate it, that is a very impressive achievement. Multi pronged indeed! With the euphoria going into January, the markets were either up or down very little (on the down days). When the pattern paused is when I sold an under-performer because we hit a top (t was still up, but some of my other funds were stellar). So I did not actually sell after the correction, rather I purchased DXQLX on February 8 after market stabilized, which is now up about 25% in the 4 months since that date - look up the chart. If your funds beat a 25% return in these 4 months, don't do what I do. If you accelerate principle payments, then ultimately you pay less interest which over time accelerates the growth of your net worth. In the immediate moment, you are right - your net worth doesn't change because what you paid in cash cancels out with the equity you accumulate on the property. I always think in terms of long term strategy. Hoping things get better for you CyclingDuo. People have said I made my money with a successful business, not successful market investing. My point is that it's not the only way to invest, and the time and money I put into the business is also an investment. I'm sure your investment strategy is doing fine, keep it up. OP, according to a Boglehead principles, one should not attempt to time the market. If you are persuaded by those principles as explained in the BH forum, wiki and books, great — you have your answer. If you have specific questions or concerns about the BH critique of market timing, you have come to the right place to discuss them! As md&phadmacist suggests, there are many investment strategies that do not follow the Bogleheads philosophy. Since this is a venue dedicated to Boglehead-style investing, you won’t learn much about those here. Pluralism about investing is fine — if md&p chooses to go another way, that is his or her own business. In the meantime, Bogleheads can continue to examine and learn about Boglehead-style investing. Warren Buffet doesn’t disclose because he doesn’t want others to front run the trades and jack up the cost of purchase for him. Warren has money, but not as much money as the collective markets do.